All Deale homes currently listed for sale in Deale as of 04/23/2019 are shown below. You can change the search criteria at any time by pressing the 'Change Search' button below. If you have any questions or you would like more information about any Deale homes for sale or other Deale real estate, please contact us and one of our knowledgeable Deale REALTORS® would be pleased to assist you. 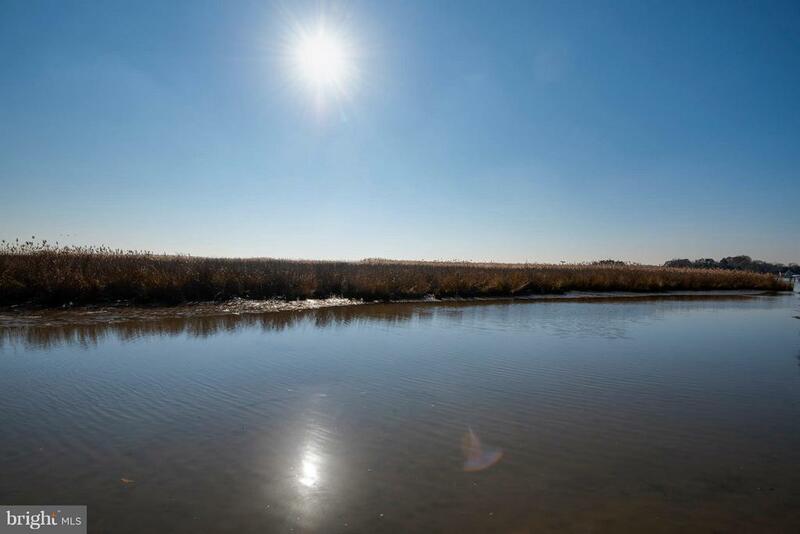 "This amazing water front lot on the mouth of Rockhold Creek gives you breathtaking views of the bay and the deepwater creek. Just 35 minutes from D.C. or Annapolis, it could make the perfect family retreat. 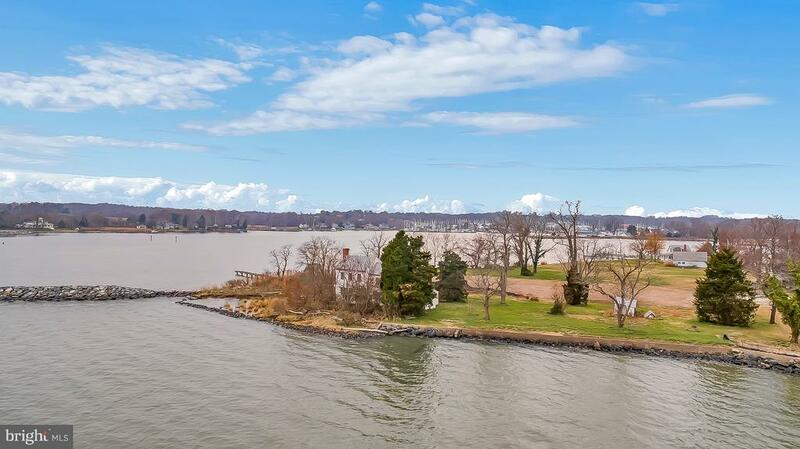 Or an amazing investment opportunity to possibly build multiple waterfront homes. An old home sits on the water's edge of the Bay and has been vacant for awhile. The lot offers water frontage on the bay and the creek. Check with the county about possible subdivision to create multiple waterfront lots and sewer connection." "Back on the Market! 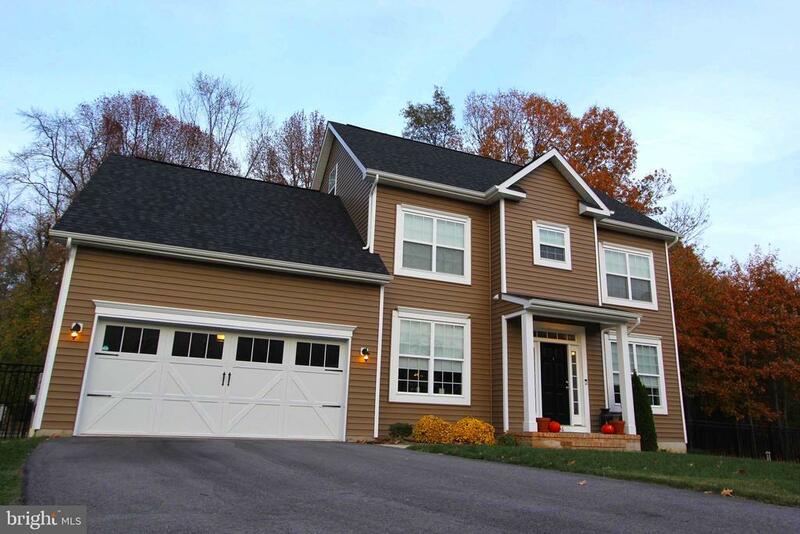 Well maintained & updated 5BR, 3.5BA waterfront home w/13+ acres on Carrs Creek. Kitchen features Viking range & refrigerator, 2 dishwashers & open to great room. 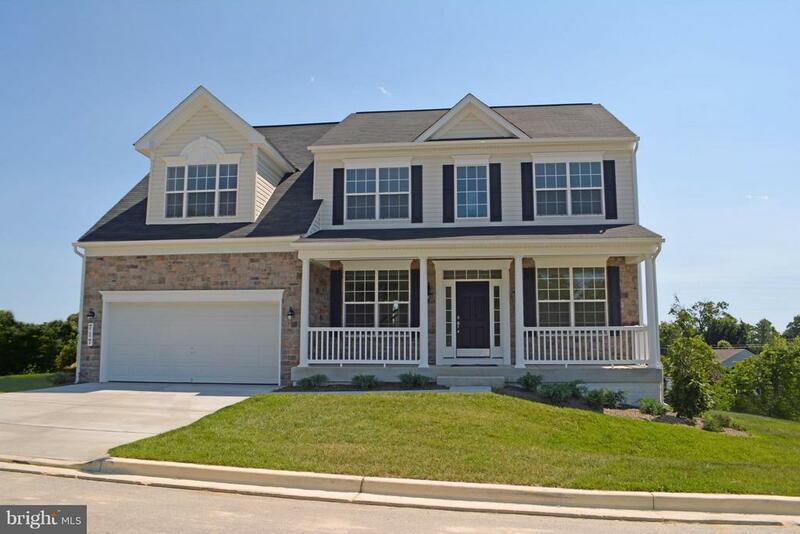 Main lvl master is an oasis w/lrg walk-in closet, soaker tub & sep slate shower. Enjoy the grounds from the prv. 1 mile walking trail. Quick access to DC. Close to Shipwright Harbor Marina & Rockhold Creek Marina." "Welcome to Twin Creeks! 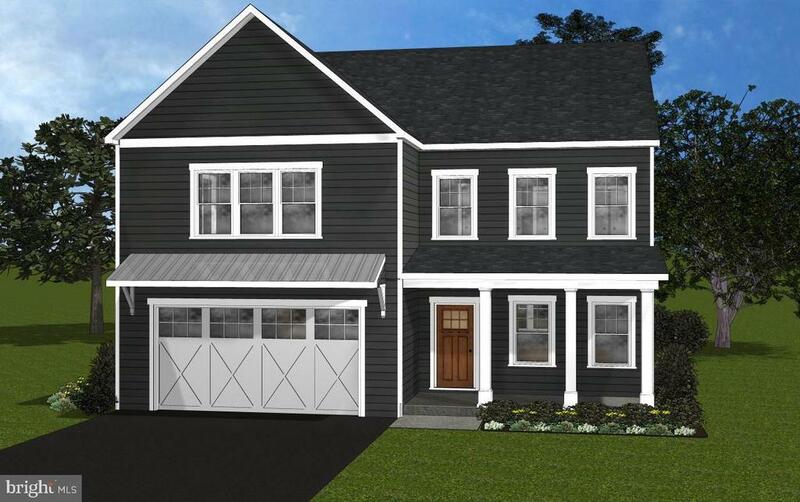 Built in 2015 by Caruso Homes, this stunning home is the Seahawk model. Featuring 4 bedrooms and 3.5 bathrooms, this elegant waterfront home also boasts hardwood flooring, large open layout, fireplace, 9 ft ceilings, large high end kitchen, sweeping water views, an elevator, views and access to both Tracys Creek and Rockhold Creek, 2 decks, a hot tub, and more. Outside on the front of the property you will find 110ft of waterfront on Rockhold Creek & a fully finished office on the pier which is zoned commercial! The pier is 145 ft long and features 4-5 boat slips that can be used or rented to create income. This home truly has it all! Come out at take a look!" 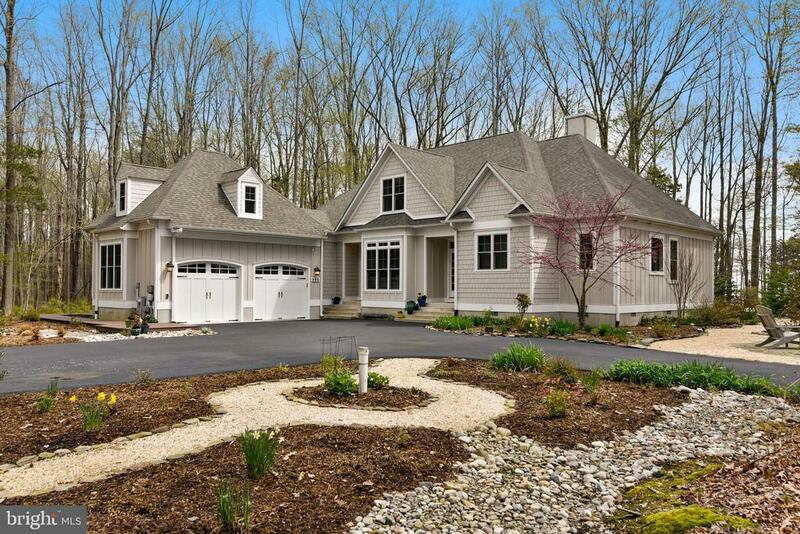 "Looking for the quintessential Chesapeake Bay, waterfront home? Look no further. You will never find another property like this one! It's one of a kind! Own a piece of history. Looking for a large waterfront property w/ tons of privacy? Look no further. 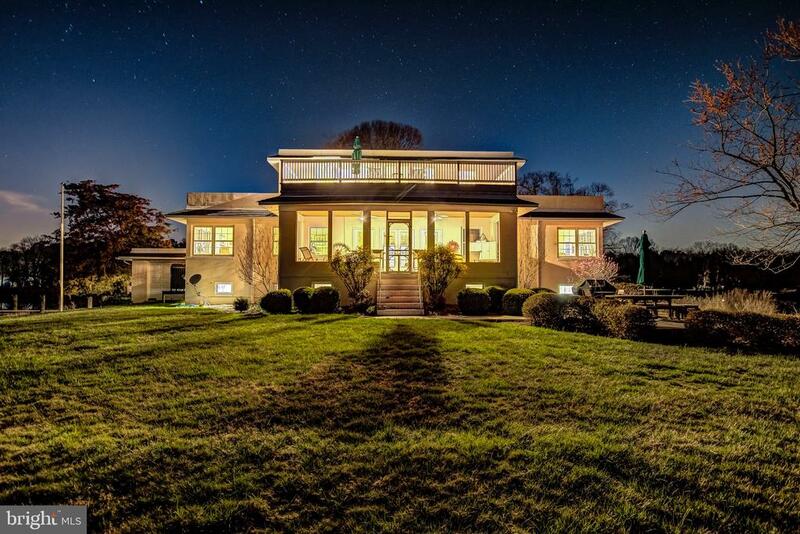 This 1940's, Art Deco, very rare property is on its own private peninsula and oozes charm. Hold weddings & other parties right at home with professional kitchen. Views from every room. You can't build it today! And you can't move the land either. Life at its very best!" "SELLER HAS FOUND HOC. This 2012 custom-built WATERFRONT home is sited on nearly 6 acres and nestled among the trees with water frontage along the Chesapeake Bay. Enjoy the views. Listen to the lapping of the gentle waves. Admire the majestic Eagles and Ospreys as they perch in the branches along the shoreline. The Tundra Swans will be here soon. The serenity is like non-other. And, the craftsmanship is impressive. An open floor plan with extensive millwork, moldings, tray ceilings and high ceilings, hand hewn walnut hardwood and high-end finishes round out this incredible home. Gas fireplace with stone surround. Owners Suite that spans the depth of the house. EnSuite on the upper level with private balcony. Screened Porch that leads to a sprawling deck area. The hardscaping and landscaping is extensive and lush. The amount of storage areas accessible from each level are thoughtful and practical. I can't think of a detail that was spared. It's a lifestyle -- one I can't wait for you to experience!" 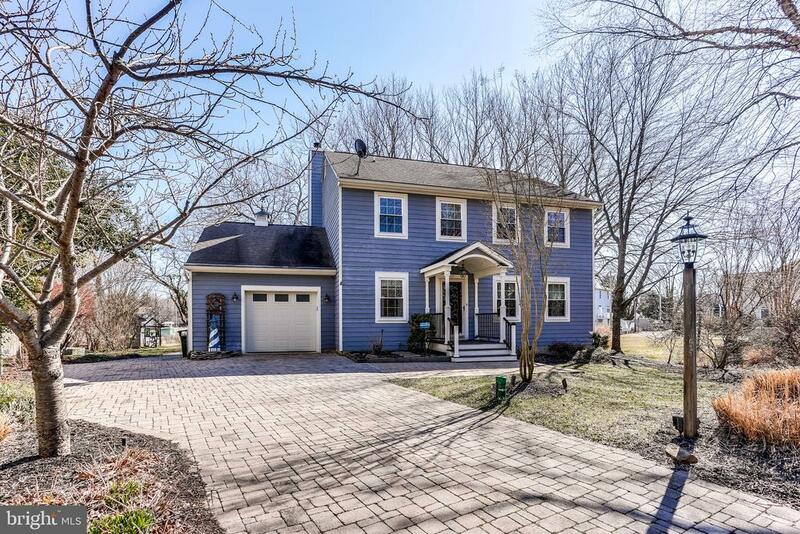 "OPEN HOUSE 3/24 1PM - 3 PM FABULOUS DEALE - THIS HOME HAS IT ALL! 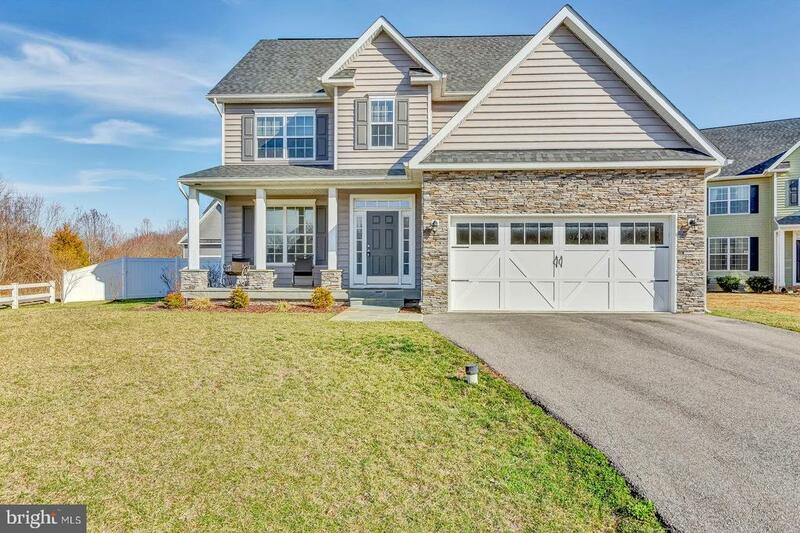 METICULOUSLY MAINTAINED 3 Bedroom 2.5 Bath 1 CAR GARAGE(AMPLE PARKING) on .35 ACRES with UPSCALE KITCHEN INCLUDES CENTER ISLAND,GRANITE, GAS COOKING, STAINLESS APPLIANCES & ENVIOUS WALKIN PANTRY! 2 STORY FAMILY ROOM with ELEGANT GAS FIREPLACE. 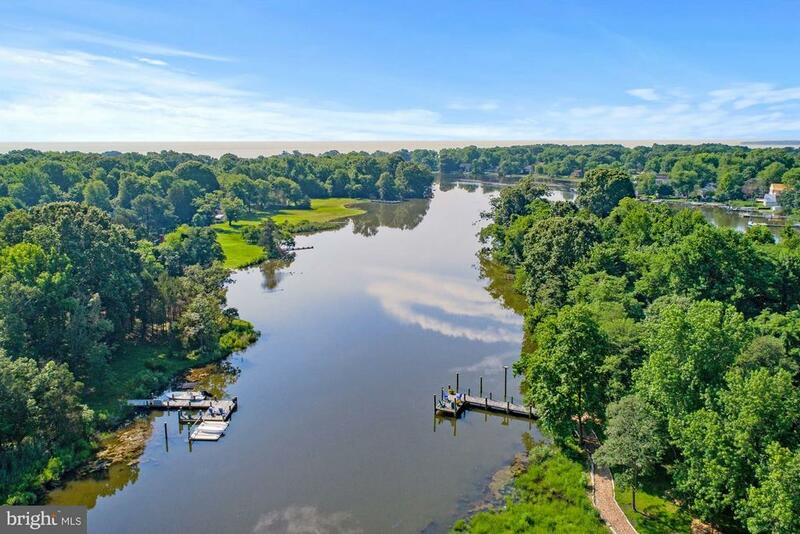 GORGEOUS WATER VIEWS FOR SIPPING TEA FROM YOUR FOUR SEASON SUNROOM OR DECK - PIER with 3'MLW, 7K LB BOAT LIFT, BEAUTIFUL LANDSCAPING, GARDENS OR CREATE YOUR OWN FIRE PIT ! QUIET LOCATION AT END OF STREET!PARKER CREEK DREDGED 2018!!! HURRY!!!" "WATERFRONT-EXCELLENT OPPORTUNITY TO BUILD YOUR NEXT HOME-- LOOKING FOR A COASTAL LIFESTYLE AT AN AFFORDABLE PRICE POINT? 100 FT ON PARKER CREEK!! --NUMEROUS MARINAS AND RESTAURANTS NEARBY--WHITEHALL BUILDING--COASTAL CAROLINA HATTERAS PLAN IS LISTED HERE HOWEVER BUILDER WILL WORK WITH YOU TO CHOOSE OTHER HOUSE PLANS OR DESIGN YOUR OWN--10K IN CLOSING HELP IF BUYER USES BLDRS PREFERRED LENDER/TITLE COMPANY--PHOTOS REPRESENT EXAMPLES OF BUILDERS WORK--VISIT WHITEHALL BUILDING FOR INFO"
"TO BE BUILT. Located in 9 lot enclave with community feel. The Princeton features an open floor plan boasting w/ light including a library & owner's suite with his + her wocs. Acreage for potential equestrian center. Call & turn this exciting possibility into reality! Note pricing captures BASE home, lot finishing, and lot price." "TO BE BUILT. Located in 9 lot enclave with community feel. The Oxford features an open floor plan boasting w/ light including a library & owner's suite w/ sitting room & large woc. Magnificent owner's suite w/ sitting room & large woc. Acreage for potential equestrian center. Call & turn this exciting possibility into reality! Note pricing captures BASE home, lot finishing, and lot price." 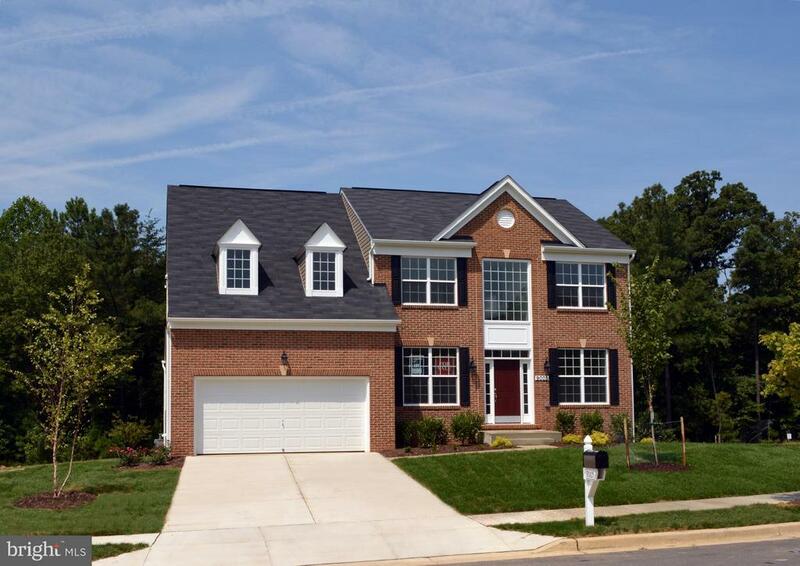 "Final home built in Parker Creek Enclave is ready for you. Beautiful kitchen and large family room ready for entertaining. Community has water privileges and this home has water views. Voluntary HOA 250 Annually. Immediate delivery! 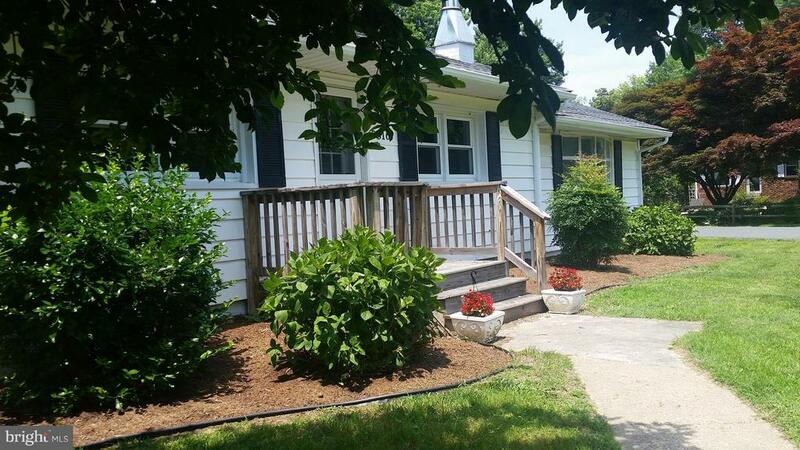 Open House, Sun, Dec 2 from 11 am - 2 pm." "TO BE BUILT. Located in 9 lot enclave with community feel. 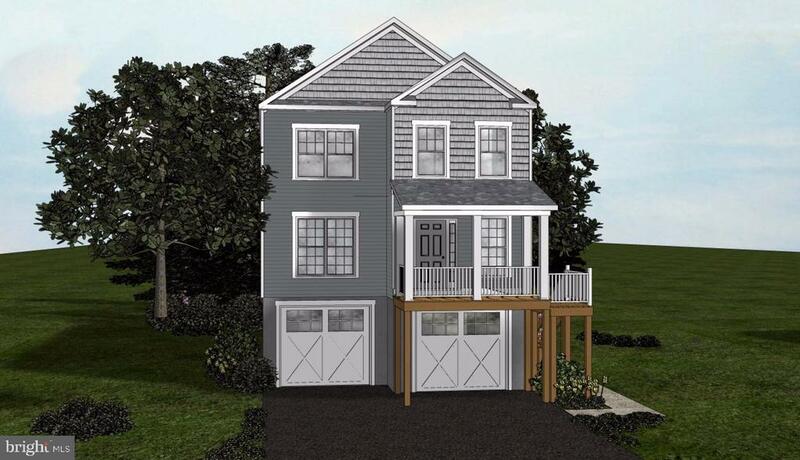 The Treemont features an open floor plan boasting w/ light, morning room, & first floor owner's suite. Acreage for potential equestrian center. Call & turn this exciting possibility into reality! Note pricing captures BASE home, lot finishing, and lot price." "TO BE BUILT. Located in 9 lot enclave with community feel. The Oxford features an open floor plan boasting w/ light including a library, morning room, & owner's suite w/ sitting room & large woc. Acreage for potential equestrian center. Call & turn this exciting possibility into reality! Note pricing captures BASE home, lot finishing, and lot price." "TO BE BUILT--WHITEHALL BUILDING--MADISON/CRAFTSMAN MODEL--ENJOY LIVING BY THE WATER-- NUMEROUS MARINAS AND RESTAURANTS NEARBY--10K IN OPTIONS IF BUYER USES BUILDERS PREFERRED LENDER--PHOTOS REPRESENT EXAMPLES OF BUILDERS WORK--VISIT WHITEHALL BUILDING FOR INFO--SEE FLOOR PLAN IN PHOTOS"
"TO BE BUILT--WHITEHALL BUILDING--MADISON/NEW ENGLAND MODEL--ENJOY LIVING BY THE WATER-- NUMEROUS MARINAS AND RESTAURANTS NEARBY--10K IN OPTIONS IF BUYER USES BUILDERS PREF LENDER/TITLE CO--PHOTOS REPRESENT EXAMPLES OF BUILDERS WORK--VISIT WHITEHALL BUILDING FOR MORE INFO--SEE FLOOR PLAN IN PHOTOS"
"This is what you have been waiting for! 4 Bedrooms, 3-1/2 Baths. 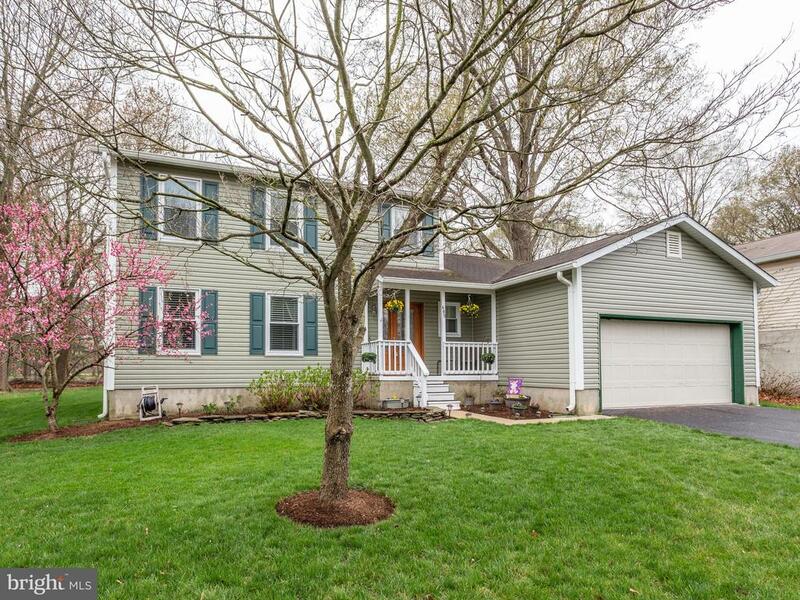 Meticulously maintained home on large corner lot. Once you enter you are greeted with 9ft ceilings and beautiful hardwood floors. Huge master suite with marble and stone walk-in shower. Double vanity that includes make-up station. Gas stove and Gas fireplace, custom draperies and many more upgrades! Move-in ready!" "Why wait for new?!? 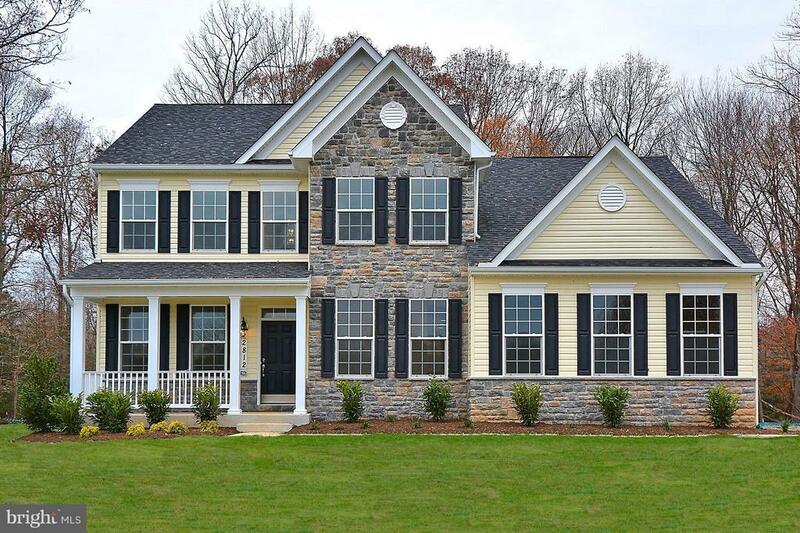 Builder upgrades galore in this 5 year young grand colonial! 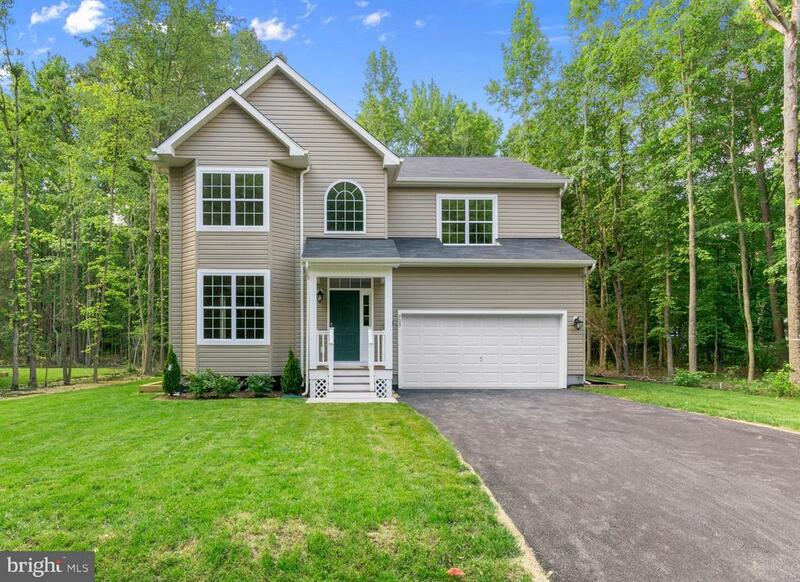 Stone front accent, wider planked hardwood floors on main level, granite counters with extra tall cabinets. Gas fireplace with open floor plan. Master suite with large walk in closet, generous sized spare rooms. Fully finished third floor living area could be used as a extra family room, 2nd mastersuite or au pair with a full bathroom with walk in closet. Located on a cul-de-sac no thru street. Rear yard has extensive hardscape with a gorgeous paver patio. 100% USDA financing approved, no down payment program! Water oriented area, Walk to restaurants & shopping." 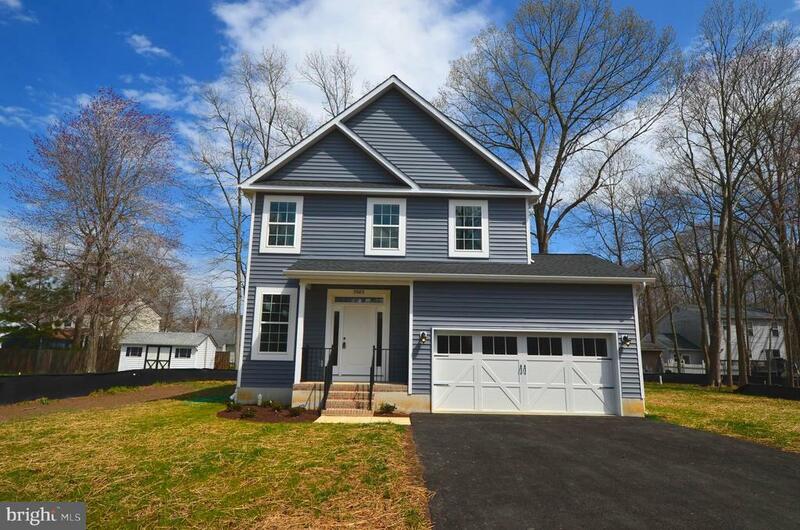 "Brand new home ready for immediate occupancy. Kitchen with white cabinets, granite counter tops, center island, wood floors, gas fireplace, 2 car garage, lg. master bedroom, master bath with tile shower. Located on no thru road. Walk to community boat ramp, pier, and sitting area along the Chesapeake Bay." "Beautiful New Home Community located in Deale. 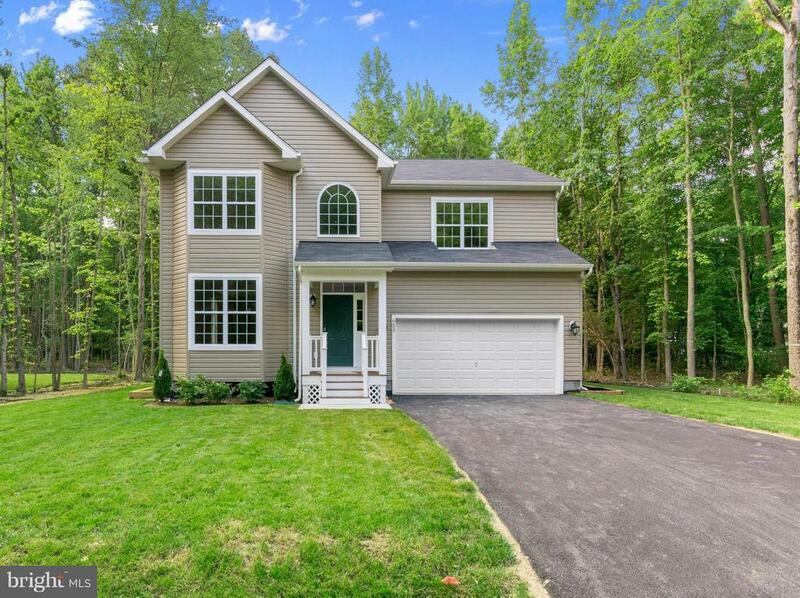 Beeler Builder offers 2 elevation choices, 4bed/2.5bath w/9ft ceilings, HW floors on main level/ carpet in bedrooms, kitchen complete w/granite countertops, SS appliances, raised 42 cabinets w/crown molding. Masterbath comes standard w/garden tub and sep. shower, raised height vanities w/chrome fixtures. Custom coat 2 paint throughout & so much more!" "New Construction. This listing includes County LOT #57 ONLY. Choose from many custom floors plans or we will design for you. 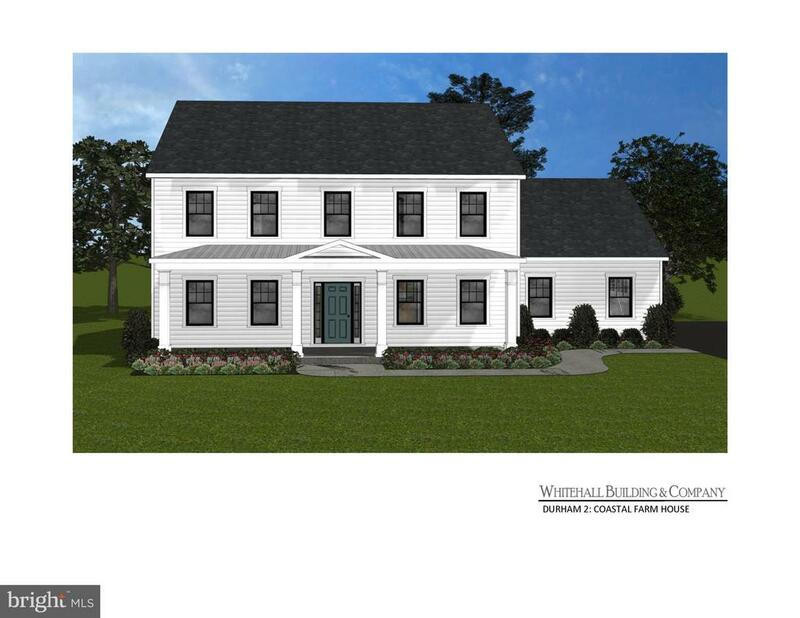 Home will feature 9' ceilings on the 1st & 2nd floors, Crown Moulding on 1st floor. Hardwood Floors, Gourmet Kitchen, and Gorgeous Mud Room. NOTE: **ALL PHOTOS ARE FROM BUILDERS INVENTORY**. Construction has not started." "This Home is deceiving From outside. Over 2,000 SQ. 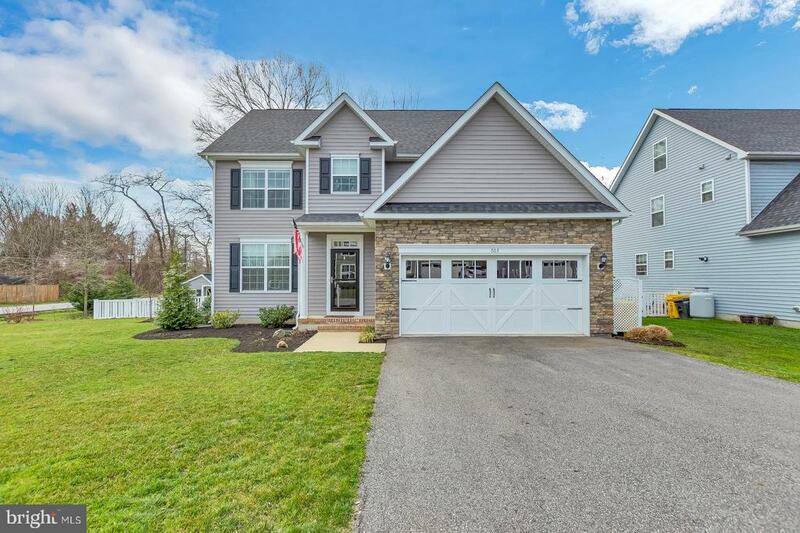 Feet with pride in ownership!Features include: Master with Full Bath,2.5 Baths,Hardwood floors, Office,Seperate Dining room,Living Room and Family Room. Many new upgrades which are listed in Disclosures. Local amenities including tennis courts, public library, cafe, restaurants and marinas. Shes a Beauty!" "USDA -Beautiful water view. 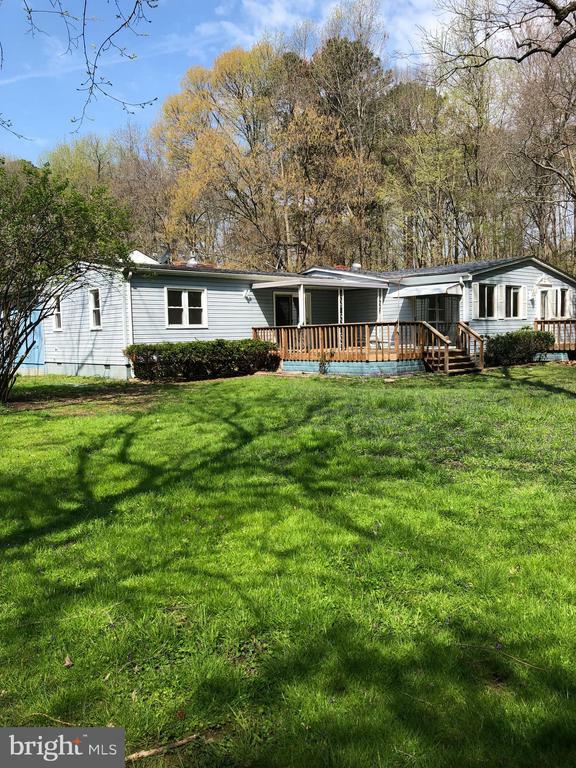 With property just over an acre this nicely rehabbed rancher has a perfect porch for entertaining, an amazing lot, a sun porch, a deck off of the master bedrooms." "Located in North Deale, this established community has wide streets, mature trees and water access. 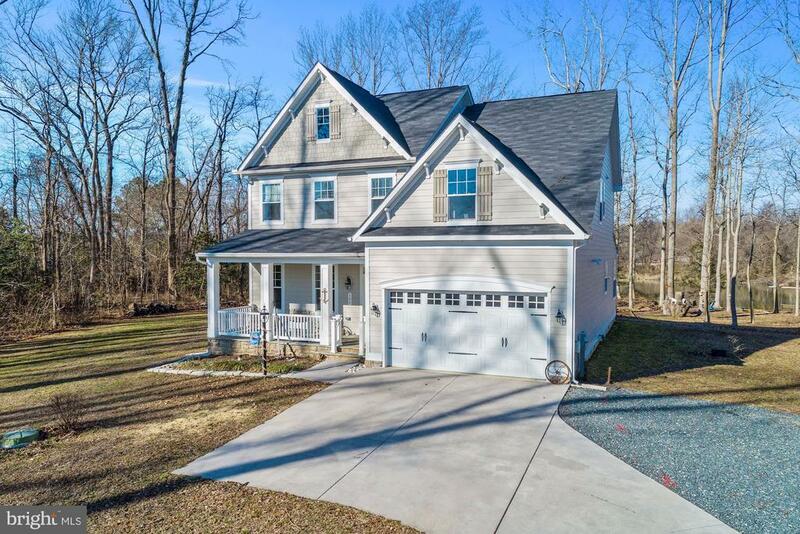 Spacious 2,000+ sq ft house on corner lot has open floor plan, new roof and HVAC in 2018, and brand new flooring in 2019. Fourth bedroom, with private entrance, may be used as in-law suite. Local amenities including tennis courts, public library, cafe, restaurants and marinas are within walking distance. This house is move in ready!"